Where Is Fusion Research Today? On the one hand, there is the promise of limitless energy supply, emission-free and without the long-term radiation problems of nuclear fission. 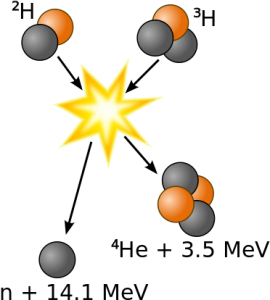 The idea behind it is simple: in the Sun, the nuclei of hydrogen atoms are continuously fused into helium nuclei. This process releases enormous amounts of energy. 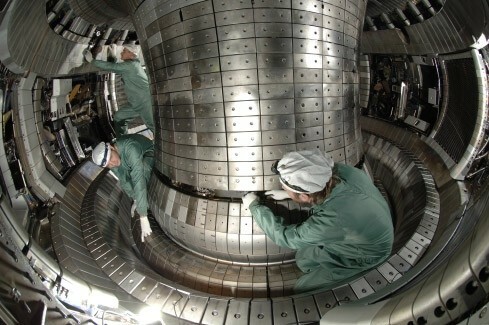 Fusion researchers hope to reproduce this process in fusion reactors on Earth. On the other hand, these promises have been made for at least six decades. Incidentally, the first working fusion reactor is always ‘fifty years away’ – since fusion research started after the Second World War. Cautious estimates today say that perhaps by 2060 or so, there might be a real fusion reactor that actually produces more energy than it requires. Existing experiments are far from this point. Furthermore, the international ITER project has mostly hit the headlines with reports on mismanagement and cost explosions. So where is fusion research today? Somewhere between lofty promises and stark realities. Last month, the first successfull plasma test at the Wendelstein 7-X experiment was hailed as the breakthrough. But not even this experiment is anywhere close to producing energy, on the contrary, it requires a lot of energy to heat helium plasma to about 100 million degrees centigrate, and to cool and power the superconductive magnetic coils to contain the plasma. So what’s the great breakthrough? Let me start by explaining some of the central concepts of fusion research. Plasma is one of the four fundamental states of matter, the others being solid, liquid and gas. It can be produced by heating gases to extremely high temperatures. 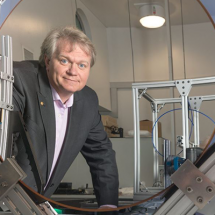 This increases the number of charge carriers, making it not only the perfect state for fusion experiments, but also rendering it electrically conductive: thus it can be contained within a magnetic field. Plasma cannot contain itself. If it so much as touches the experiment’s walls, it would cool immediately and the experiment would be over. Only the lighter elements of the periodic table – lighter than iron – release energy when fused, the heavier elements absorb energy. Conversely, only the much heavier elements release enough energy in nuclear fission to make classic nuclear power stations possible. Since the earliest fusion experiments, when scientists started planning high-temperature plasma experiments, two main structural designs have evolved: the stellarator and the tokamak design. They are both doughnut-shaped, but in the tokamak design, coils on the inside edge of the toroid are closer together than on the outside edge, creating a weaker magnetic field on the outside. Ultimately, this causes the particles to drift to the outside, making the entire set-up unstable. To counteract this effect, an electric current runs to the plasma in pulses, induced by an extra set of magnetic coils. Among other things, this current helps to ‘twist’ the plasma, making it more stable. But the current also has numerous side-effects, and this is why tokamak experiments are usually only operational for very short time frames. 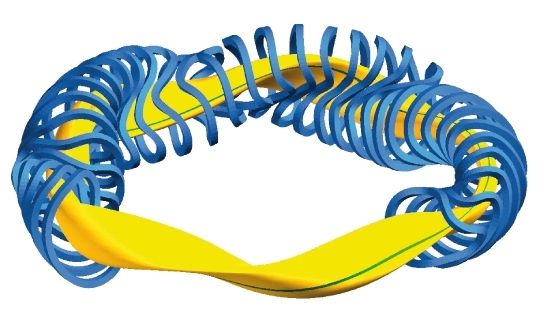 The stellarator, on the other hand, tries to solve the drift problem caused by the inhomogenous magnetic field through an innovative design: the torus is twisted and kinked so an individual particle is sometimes on the inner edge, sometimes on the outer. This also helps to create the ‘twist’, or torsion, needed to stabilise the plasma. Because of this innovative design, stellarators are predicted to run continously sometime in the future. But extremely hot plasma trapped in a magnetic field shows all kinds of surprising behaviour – and all these effects have to be taken into account to design more effective fusion reactors. For the researchers at the Max Planck Institute for Plama Physics in Greifswald in northern Germany, ‘first plasma’ last December 10th at the Wendelstein 7-X experiment must have been like Christmas arriving early. After pumping helium gas into the vacuum vessel of the large experiment, and cooling the magnetic coils to a superconductive state, they were able to heat the helium to about 10 million degrees centigrade, producing – and containing – helium plasma for one tenth of a second. “We’re starting with a plasma produced from the noble gas helium. We’re not changing over to the actual investigation object, a hydrogen plasma, until next year,” explains project leader Prof. Thomas Klinger: “This is because it’s easier to achieve the plasma state with helium.” Wendelstein’s objective is the study of plasma containment in a large stellarator set-up, not nuclear fusion itself, yet. 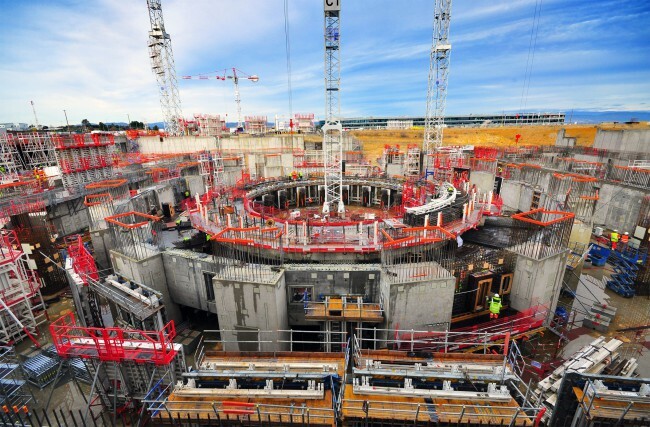 The International Thermonuclear Experimental Reactor, short ITER, is a tokamak design fusion reactor currently being build in Cadarache in Southern France, a collaboration of seven partners: the European Union, the United States, Russia, China, India, Japan, and South Korea. In 2005, ITER was supposed to cost about 5 billion Euros, but already five years later, the costs were estimated at 15 billion, with ‘first plasma’ in 2027 the earliest and further cost increases pending (a 2014 estimate talked about 21 billion US dollars). This makes ITER the most expensive terrestrial research collaboration ever – only the construction of the International Space Station ISS was more costly. How could that happen? An report from 2013 by Prof. William Madia, a respected nuclear chemist, stated that weak central authority and strong national self-interests of all partners culminated in enormous problems. Just one example: the superconducting cables are produces in six different countries – not exactly efficient, and it is unlikely that all the estimated one million parts will fit together once they’ve arrived in Cadarache. But there’s a story behind this: Originally, these cables were supposed to be produced in the EU. But the relevant companies formed a consortium trying to dictate cable prizes by eliminating competition. 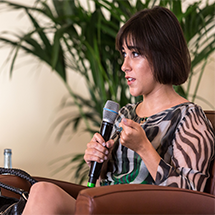 As a consequence, the contract was split into many parts. 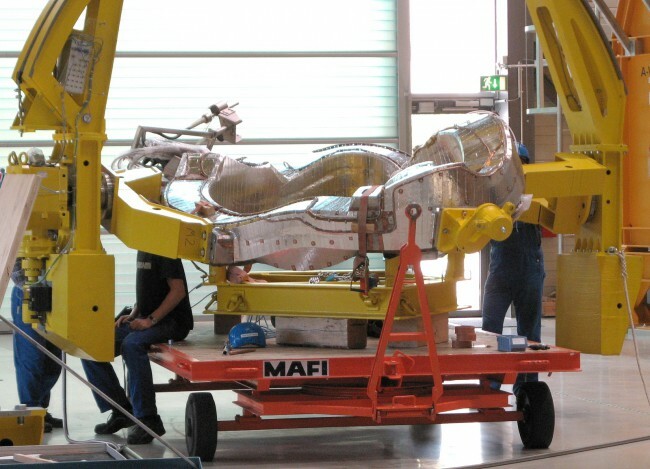 The ITER management tried to keep the Madia report secret, but it was leaked to the press. It concludes with 11 recommendations, for instance reducing the ITER bureaucracy and the number of senior managers, and installing a new Director General. 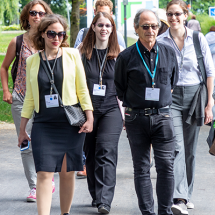 Bernard Bigot is this new director, and he started restructuring ITER’s organization in March 2015. Naturally, cost overruns and massive delays make for bad headlines, and additionally make all partners nervous. But all of the various problems are ultimately political problems, fusion research and technology cannot be blamed for them. Important preparatory research for ITER is conducted in the Joint European Torus JET in Culham in Oxfordshire. Many ITER details like the beryllium-coated tiles for the inside of the vacuum vessel, or the divertors that function like ‘vacuum cleaners’, getting rid of the extra helium-4 nucleus’ and other unwanted particles in the hot plasma, were developed in Oxfordshire. In 1997, JET set a world record by achieving 16 MW of fusion power, while the input was 24 MW – this is a ratio of 66 percent: not perfect, but fusion research is moving ahead. In the year 2003, JET has experimented with small amounts of tritium, and in 2018 experiments with deuterium-tritium plasmas are scheduled. So while the public hears about rising costs and management failures, science is slowly but surely making progress.